While today’s TD Bank does business across the Eastern Seaboard from Florida to Maine, they actually started out as a small-town bank in Portland, Maine in 1852. Over the past 150 years, they have grown primarily through acquisitions to serve every state on the East Coast. After they were acquired by Canada’s TD Bank Group in 2007 they continued to grow, largely through acquisitions in the Southeast. Today they consider themselves to be “America’s Most Convenient Bank” and pride themselves on their award-winning customer service. TD Bank refinancing mortgage rates are competitive in the market and especially beneficial to East Coast residents. TD mortgage offers a wide range of products for traditional, FHA and Jumbo refinance products for borrowers. TD’s mortgages loans offer a unique set of terms. While they have both 30- and 15-year fixed rate loans, their adjustable loan products are enticing. With fixed rate mortgages, the shorter the loan terms the less you’ll pay in interest. The longer the loan terms, the less you’ll pay, monthly, on your mortgage. TDBank’s adjustable rate mortgages come with both 1- and 5-year fixed rate terms, but they also offer a relatively rare 15-year adjustable rate mortgage. While most ARM loans offer on a short fixed period, this loan is fixed for the first 15 years. Given that many people spend less than 15 years in their home, this ARM is an excellent way to get the benefit of an ARM’s lower rate while also minimizing your exposure to future interest rate increases. TDBank also offers FHA loan products. FHA loans are made by private lenders that have been approved by the Federal Housing Agency and offer an extremely low down payment requirement of 3.5 percent. With separate mortgage insurance to protect the lender, FHA loans also offer extremely competitive rates. TD’s FHA loan program is special in that it also supports the low and moderate income discount program. This program gives families that meet certain income thresholds a 50 basis point (0.5 percent) discount on the mortgage’s interest rate. In other words, if your income is low enough to qualify for the program, your rate would be 3.5 percent instead of four percent. If you already have a mortgage and do not need to refinance it, TD Bank can still help you pull cash out of your home with their Home Equity Loan products. TD offers three different equity products — a traditional home equity loan (also referred to as a second mortgage), a traditional line of credit, and a special EquityAccess PLUS HELOC product. TD’s home equity lines are excellent options. They offer the ability to draw money when you need it from your home. This can save you on interest since you have access to large sums of money but do not have to pay for it if you are not actually using it. While the traditional home equity line gives you a checkbook, their PLUS product gives you a credit card that you can use to access the line. They also offer extremely competitive rates which can be less than the Prime Rate as well as the opportunity to take out the loan at a fixed rate, insulating you from future upward fluctuations in the interest rate. TD Bank is relatively unique in that they offer the same programs for both conventional and Jumbo borrowers. This means that whether you need a “conforming” loan of under $417,000 or a jumbo mortgage to buy a more expensive property, you can expect to receive similar offerings. TD Bank jumbo mortgage rates typically carry a slightly higher rate than conventional refinance products. While the difference between a conforming and jumbo rate varies, you will typically pay less than 50 additional basis points for a jumbo loan. TD’s traditional second mortgages have two unique features. The first is that they will lend up to 89.9 percent of a home’s value which is much more generous than the 75 to 85 percent cap that most lenders apply. They also offer terms as long as 360 months, while most lenders will not go beyond 15 or 20 years. TD Bank home equity loans usually carry no closing costs, which is another significant benefit. 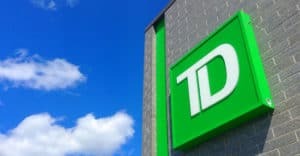 TD Bank has a large presence on the East Coast- many of their branches are located on that side of the country. While they have an extensive catalog of refinancing products available nationally, if you like the face-to-face experience, and you don’t live on the East Coast, you might consider a regional bank with a larger presence, like Chase. TD Bank specializes in renovation and construction lending, so if your goals align with their specialty, it makes sense to consider TD carefully. One of the most attractive characteristics of PNC mortgage is their flexibility while considering a borrower’s credit profile. PNC looks at non-traditional credit, like the number of on-time rent payments you’ve made, before qualifying borrowers. Similarly, TD Bank also offers a loan product for low- to moderate-income customers without requiring borrower-paid mortgage insurance. Comparing these two carefully is a wise idea, especially you’re on the edge of poor to good credit. The interest rate lock policy at TD Bank is also very customer-friendly. While other lenders offer a shorter period, TD Bank will lock your interest rate for 60 days. This means that you have a full two months to finish closing your loan without having to worry about your interest rate going up. TD’s “Hassle-Free Mortgage Guarantee” is another customer benefit. For new loans, they guarantee a same-day approval or disapproval on your loan and will pay you $500 if they fail to get you a decision on time. They will also credit $500 towards the closing costs if a mortgage or refinance loan fails to close on the predetermined closing date. While other lenders will allow loans to have a “negative amortization” payment, TD Bank does not offer them. Negative amortization payments may seem like a good thing since they give you a lower payment, but they have a severe drawback. After you make your negative amortization payment, you will owe more on your loan than you did before you made the payment! Because this is so damaging to their customer’s long-term financial health, no TD mortgage or TD refi offers this option. For borrowers in TD Bank’s East Coast service area, TD is one of the best lenders available. With a broad range of products that offer competitive rates and customer-friendly policies, TD Bank is a lender that you should take a careful look at.